Algeria summons Morocco ambassador over Western Sahara comments - The Maghreb Times ! Algeria summoned the Moroccan ambassador on Wednesday to reject accusations that Algiers had played any role in alleged Iranian support for the Western Sahara Polisario independence movement, the foreign ministry said. On Tuesday, Morocco said it had severed diplomatic ties with Iran over the support of Tehran and its Lebanese Shi’ite ally Hezbollah for the Polisario Front, a Western Sahara independence movement, extended via the Iranian embassy in Algiers. 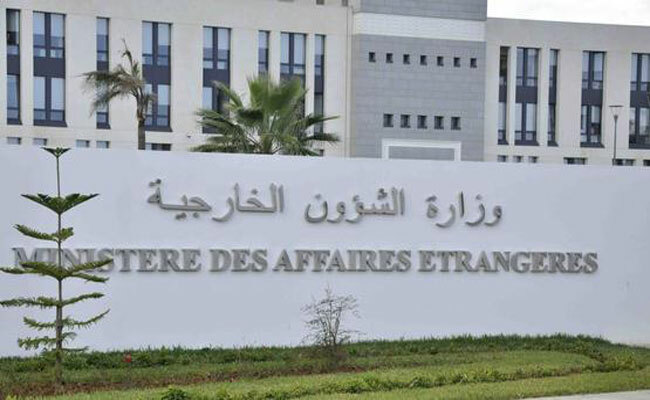 “Morocco’s ambassador has been received today by the Secretary General at the foreign ministry who rejected the unfounded remarks,” Algeria’s foreign ministry said in a statement. The Gulf Cooperation Council has expressed its solidarity with Morocco, saying it condemned what it called Iran’s interference in the kingdom’s domestic affairs, Abu Dhabi-based Sky News Arabia said.